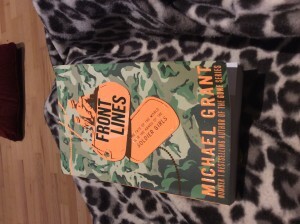 In recent times I have read quite a few books set during WWII and some have had a more profound effect than others. 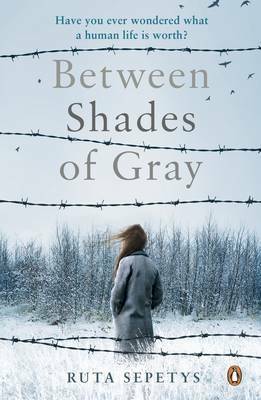 Between Shades of Gray is one of the stayers, one of those books which will stand the test of time and endure and survive. Based on first-hand accounts from those who experienced the harsh rule of Stalin, this novel is a fictional account of the experiences of a middle class Lithuanian family who are ripped from their comfortable home one night in 1941 and forced to commence an agonising journey to the desolate wastes of Siberia. Our narrator, fifteen year old Lina, vows to document their experiences through the medium of her drawings and writing, also hoping that she can communicate with her father who is in another prison camp. What follows is a hard-hitting narrative, all the more powerful thanks to the simplicity of the prose and the viewpoint of a young teenager who is bewildered by the inhumanity of the Russian secret police, the NKVD. Lina’s mother Elena is a very strong character, doing everything she can to keep her family together whilst still considering the needs of other prisoners. Some wars are about bombing. For the people of the Baltics, this war was about believing. In 1991, after fifty years of brutal occupation, the three Baltic countries regained their independence, peacefully and with dignity. They chose hope over hate and showed the world that even through the darkest night, there is light. Between Shades of Gray will make you appreciate your freedom, something which we take for granted. It will also make you realise the power of the human spirit to endure, to survive and to aspire to a better future. A Young Adult novel which will engage all ages and hopefully become a modern classic.